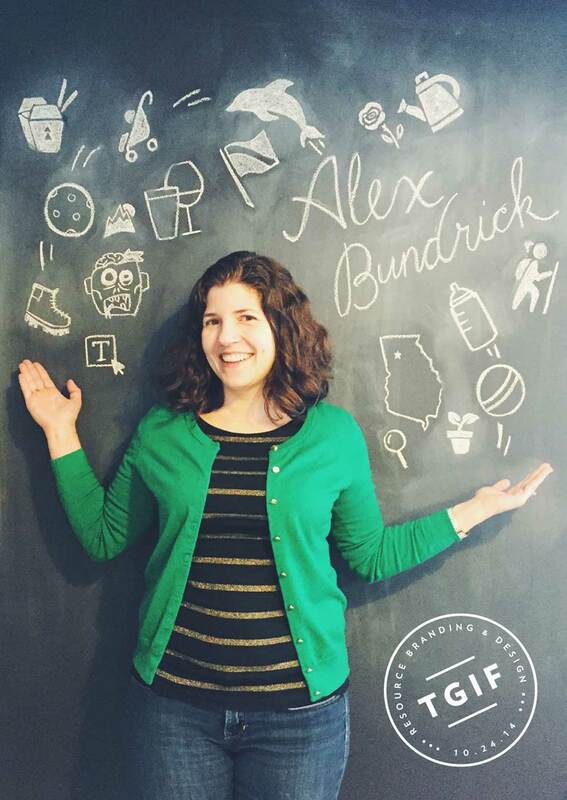 Resource is thrilled to welcome Alex Bundrick to our team as Senior Designer…please join us in welcoming her! When you were a kid…? I had glasses, a perm and braces all at once. Triple threat. If you were in a band, what would it be? I’m really good about making a meal from any random ingredients – I’d be great on Chopped or Iron Chef! I also dyed my hair purple in high school. Disney World of course! No, I’m serious. Visiting the mountains, going hiking or gardening. Top 5 things that represent you? Anything mom related – stroller, booties, bottles, etc.